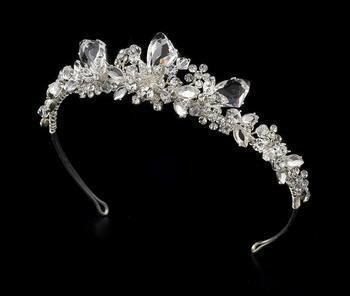 Beautiful geometric Swarovski crystals and clear rhinestones sparkle throughout the floral design of this silver plated wedding tiara. Perfect for your modern wedding. A stunning addition to your wedding hairstyle whether it be up or down.